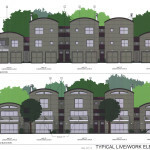 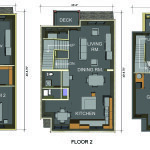 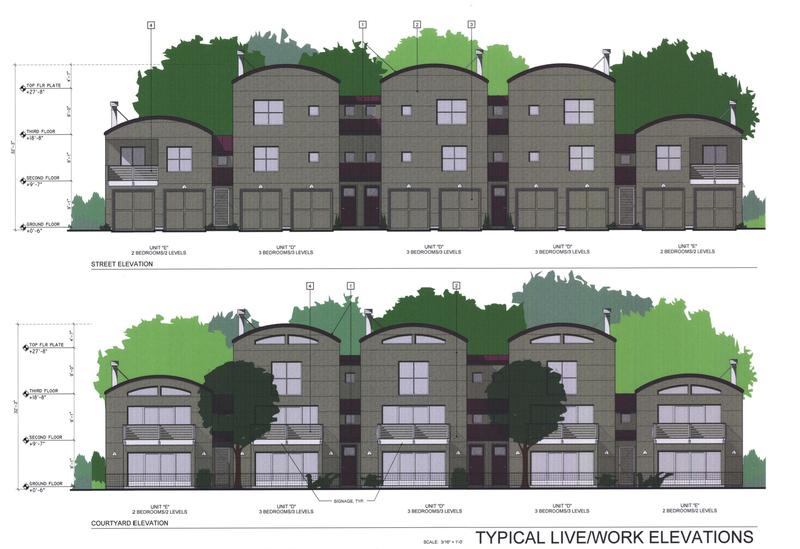 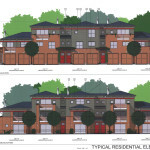 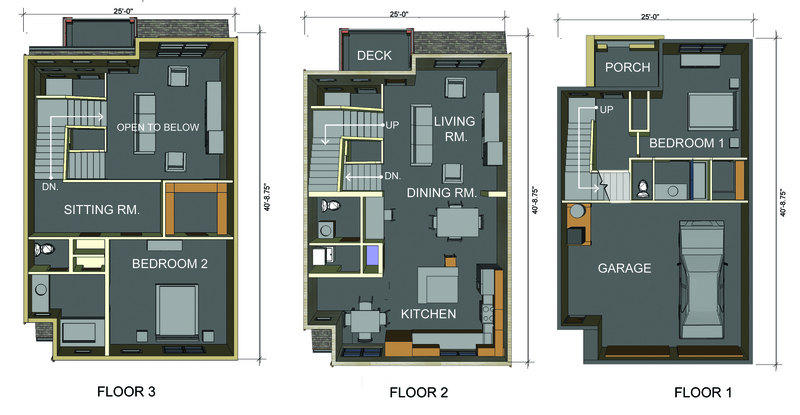 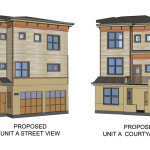 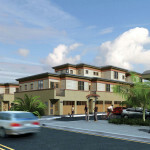 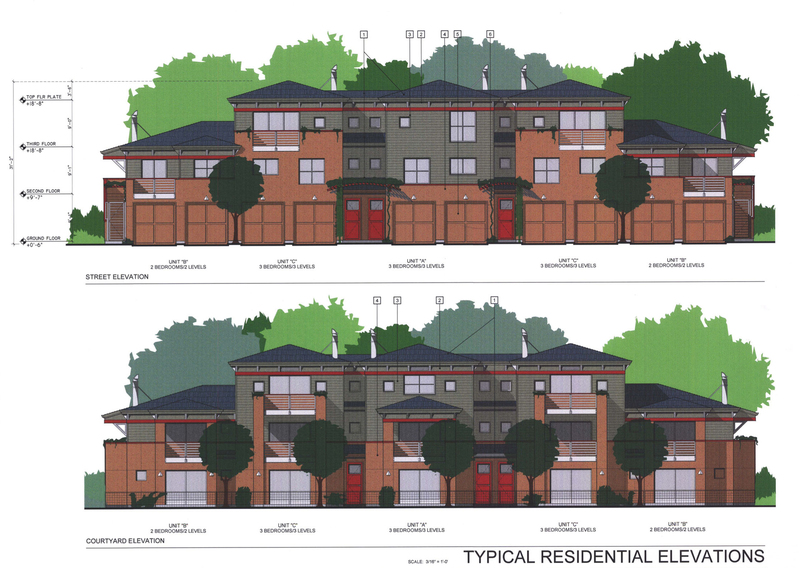 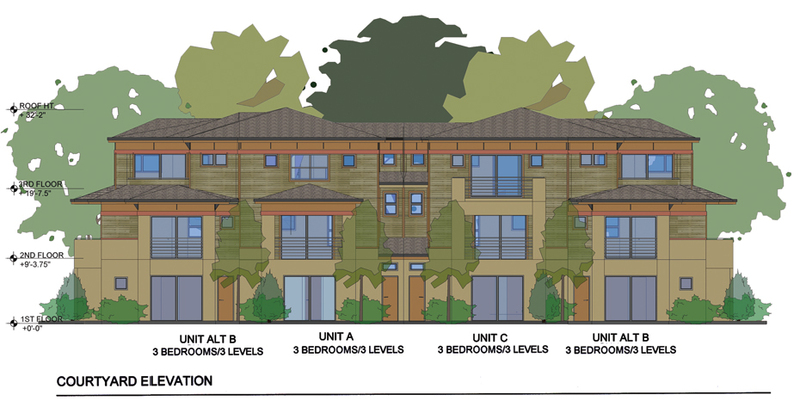 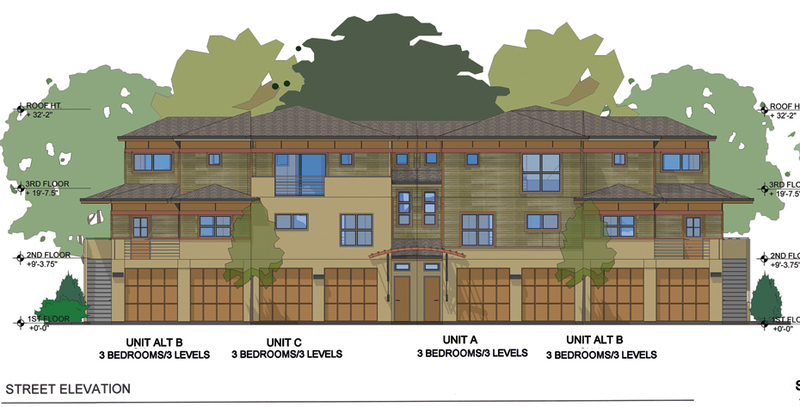 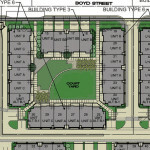 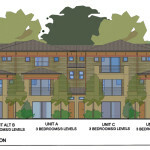 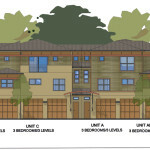 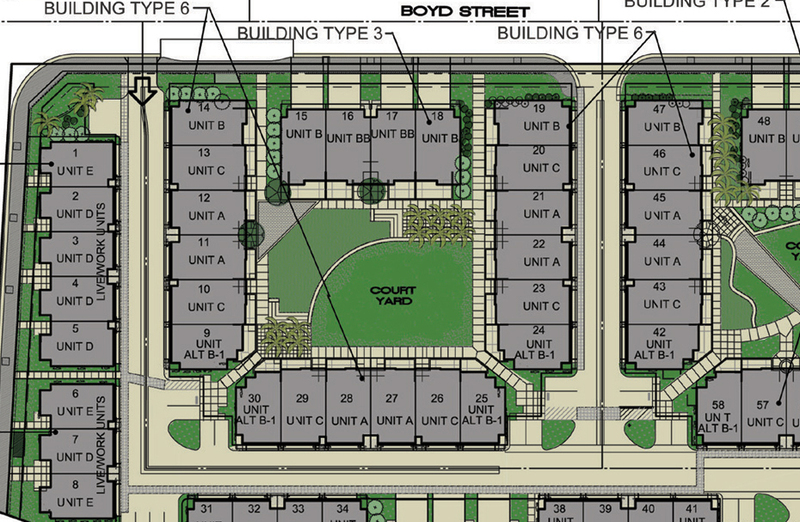 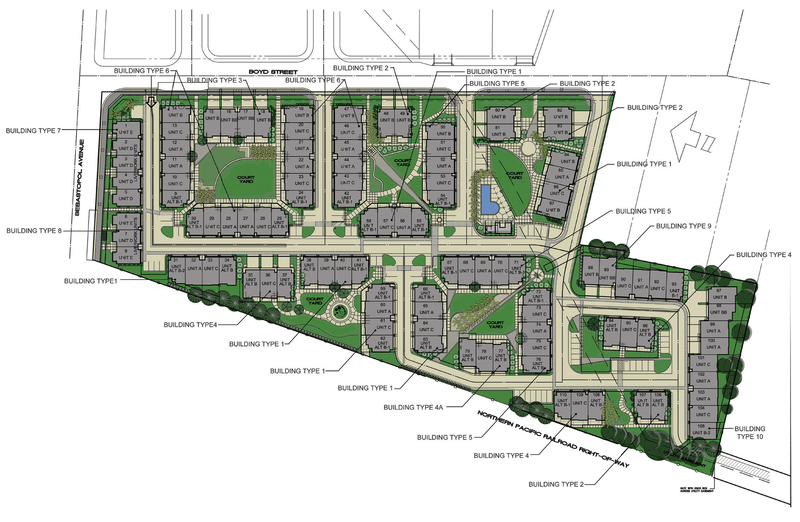 Project overview: 110 unit residential live/work master plan, Santa Rosa, Ca. 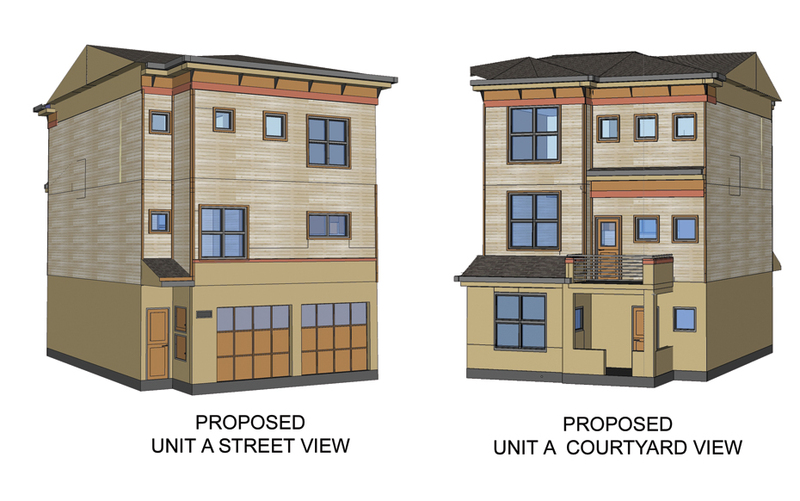 2004-09 in collaboration with Jerry Kler Architects. 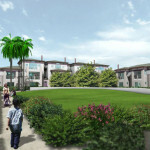 The project converts a 9 acre site previously used as a fish processing plan into a 110 unit residential project is designed around garden courtyards with both private and common amenity spaces, while keeping most vehicles out of sight in the two car garages provided for each residence. 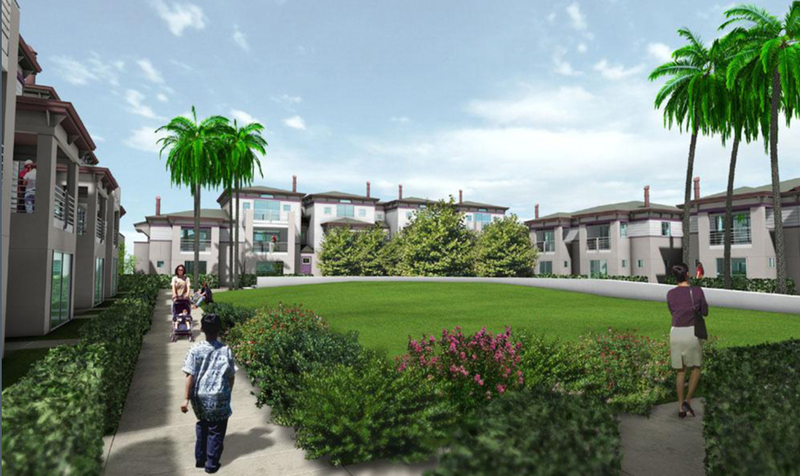 The residences turn inward to create a safe, defensible, non-vehicular open space for their residents, while understanding the usual emphasis on vehicular circulation and parking areas. 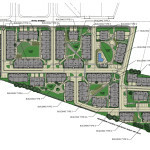 Approximately 46% of the site is open or landscaped.